Ready for some fishing with the family? Rely on Captain Moe’s Lucky Fleet for a good time. We have three state of the art boats in our fleet, all aptly named The Lucky Charm, Reel Lucky, and Reel Lucky Too. If you’re looking for easy, affordable family fishing charters in Key West, you’ve come to the right place. You’ll find us in the Historic Seaport of Old Town Key West, a place we’ve called home for 30 years. Wouldn’t you like to see your kids’ faces as they reel in their very first fish? It’s an unbeatable experience. 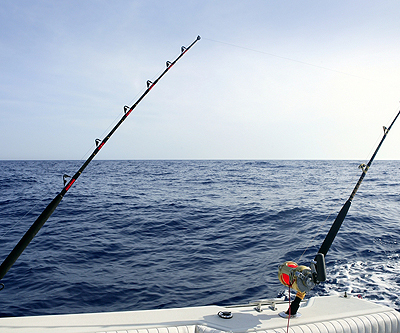 Rest assured, all of our fishing charter vessels are equipped with the best rods and reels designed for capturing large fish. You’ll learn from the best: Captain Moe himself. He spent 10 years as a professional ocean yacht racer doing competitions all over the globe before creating his Lucky Fleet in Key West. After you book your appointment with us, there are a few things you can do to prepare for your day out on the ocean. You can take up to six anglers as part of your family excursion. Bring along any special items you may have, from sunscreens and jackets to hats and snacks. Don’t forget water! That’s it: we take care of the rest. From experienced anglers to amateurs, Captain Moe’s Lucky Fleet has what your family needs. Let us handle your light tackle fishing, backcountry fishing or offshore, deep sea fishing needs. There’s plenty of fun for the whole family! 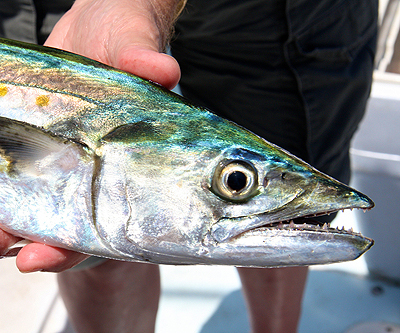 Ready to book your next Key West Fishing charter with the family? We can give you the experience of your life! Don’t hesitate to call us and book now at 305-304-8065. Or, fill out our online form for more information. We’re easy to get to at 201 Margaret Street in Key West.